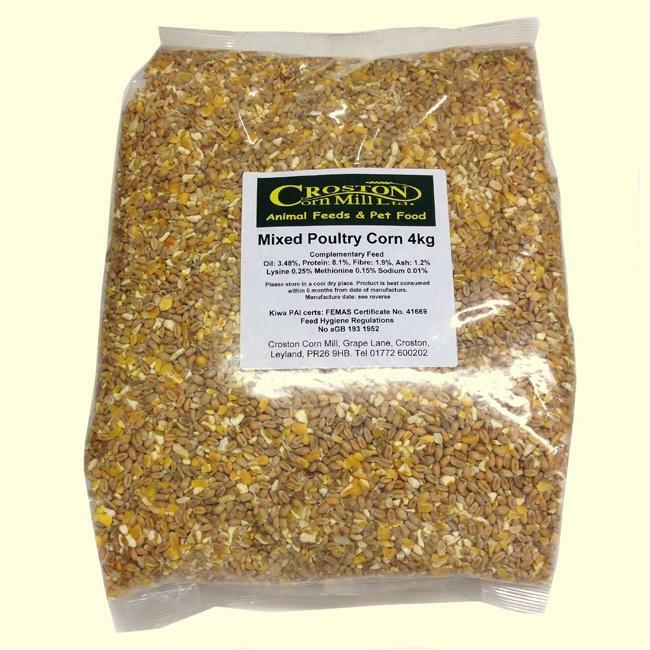 This is our very popular mixture of 50/50% Wheat and Cut Maize dressed with a little Soya Oil to aid good plumage. Suitable for all kinds of Poultry including Hens, Chickens, Ducks, Geese and Game Birds to supplement their compound food of pellets or mash. It may also be scattered on the ground to help satisfy the birds natural instinct to scratch and forage.